Anyone with information about the Thursday blaze at the old Stenton Trust Mill is being asked to call police. 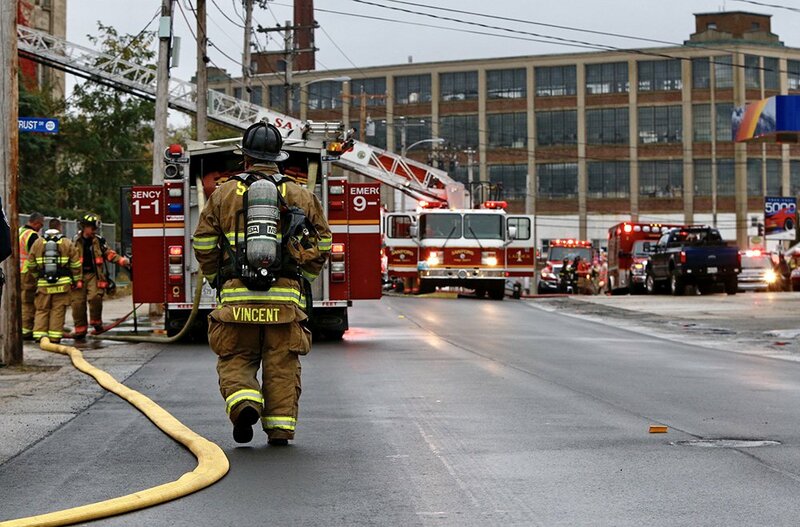 The state Fire Marshal’s Office said the two-alarm fire Thursday in a Sanford mill building is being investigated as suspicious. Sgt. Ken Grimes said the fire began on the second floor of the front tower of the Stenton Trust Mill at 13 River St. Anyone with information about the fire should call Sanford police, the Sanford Fire Department or the state regional communications center at 657-3030. Grimes declined to release details about what led investigators to believe the fire was set intentionally. The rear tower of the abandoned Stenton Trust Mill burned June 23 in the largest mill fire Sanford firefighters have ever fought. More than 100 firefighters from 20 communities battled that blaze, and two of the three boys charged with setting it have pleaded guilty to minor charges. Thursday’s fire was reported by a 911 caller shortly after 6:30 a.m., then confirmed almost immediately by a firefighter driving past on his way to work, Sanford fire Capt. Brian Watkins said. Firefighters knocked down the flames within about a half hour, but it wasn’t easy, he said.